Supreme Court permits appellate courts to presume reasonableness of sentences within the Sentencing Guidelines | Jon Katz, P.C. 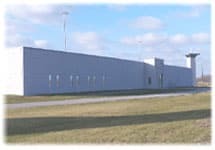 Image from Bureau of Prisons’ website. On June 21, 2007, the Supreme Court permitted appellate courts to presume the reasonableness of federal sentences imposed within the Sentencing Guidelines. Rita v. U.S., ___ U.S. ___ (June 21, 2007). Although Rita still enables defendants to try to overcome such a presumption of a reasonable sentence, the opinion likely will make sentencing judges all the less likely to depart below the sentencing guidelines in circuits that prohibit "unreasonable" sentencing guidelines departures. "The Court’s decision today leaves unexplained why the mandatory Guidelines were unconstitutional, but the Court-created substantive-review system that contains the same potential for Sixth Amendment violation is not. It is irresponsible to leave this patent inconsistency hanging in the air, threatening in the future yet another major revision of Guidelines practices to which the district courts and courts of appeals will have to adjust. Procedural review would lay the matter to rest, comporting with both parts of the Booker opinion and achieving the maximum degree of sentencing uniformity on the basis of judgefound facts that the Constitution permits." The sole dissenter, Justice Souter, rejects giving any presumption of reasonableness to a sentence imposed within the sentencing guidelines, in part because doing so will lead to a self-fulfilling prophesy of trial judges ordinarily taking the safe route by sentencing within the guidelines, rather than imposing a sentence outside the guidelines (whether below or above the guidelines) only to face the risk of being reversed on appeal, thus leading to the necessity of a new sentencing proceeding. Justice Souter offers Congress the opportunity to go back to the drawing board with sentencing guidelines: "If Congress has not had a change of heart about the value of a Guidelines system, it can reenact the Guidelines law to give it the same binding force it originally had, but with provision for jury, not judicial, determination of any fact necessary for a sentence within an upper Guidelines subrange." "A very general overview of the course of decisions over the past eight years may help to put today’s holding in perspective. Members of a criminal jury are guaranteed to be impartial residents of the State and district of the crime, but the Sixth Amendment right to trial by jury otherwise relies on history for details, and the practical instincts of judges and legislators for implementation in the courts. Litigation has, for example, worked through issues of size, see Ballew v. Georgia, 435 U. S. 223 (1978) (prohibiting five person state juries but allowing juries of six), and unanimity, see Apodaca v. Oregon, 406 U. S. 404 (1972) (allowing nonunanimous juries in state criminal trials); Burch v. Louisiana, 441 U. S. 130 (1979) (prohibiting nonunanimous six-person juries). Such decisions go to what William James would have called the ‘cash-value’ of the Constitution’s guarantee. See W. James, Pragmatism: A New Name for Some Old Ways of Thinking 200 (1st ed. 1907)." In any event, sentencing requires as much aggressive battle by defendants as seeking acquittals. Perhaps some defendants will feel as if they are throwing in the trial towel to be prepared for sentencing, but to do otherwise is to throw in the towel for any sentencing battle. Jon Katz.